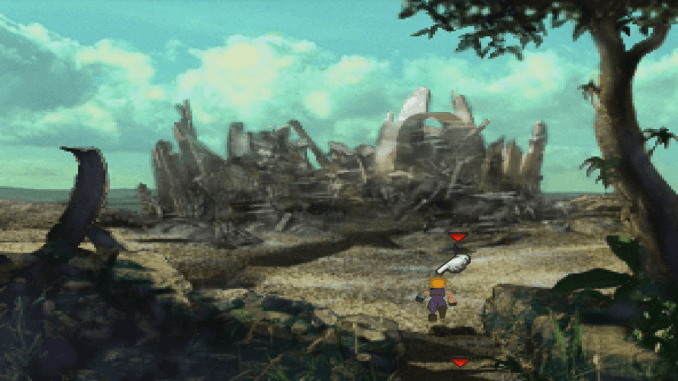 A complete walkthrough for Gongaga in Final Fantasy 7 (FFVII) including enemies encountered, obtainable items, and boss strategy guides. Fairy Tale Obtained after defeating Reno. Deathblow Materia In the area down the left path after defeating Reno and Rude. Titan Materia Obtained by examining the right side of the broken reactor. X-Potion Inside a chest in the house to the upper left of the village. White M-phone Inside a chest in the house to the north of the village. Using the buggy, head south and go to the crater-like area at the center of a forest. A cutscene plays once you enter Gongaga. 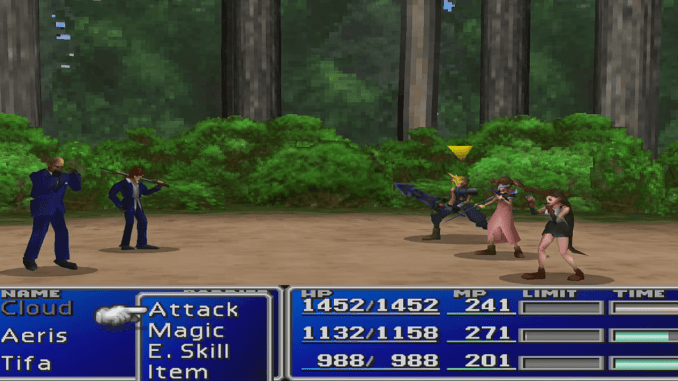 This is a fairly easy fight, as long as you keep your HP high. Focus on defeating Reno, as he will give a powerful weapon once defeated. Go down the upper right path. Continue walking until you reach the broken reactor. After a cutscene, keep examining the right side of broken reactor to get the Titan Materia. Go back to the crossroads and proceed down the left path. 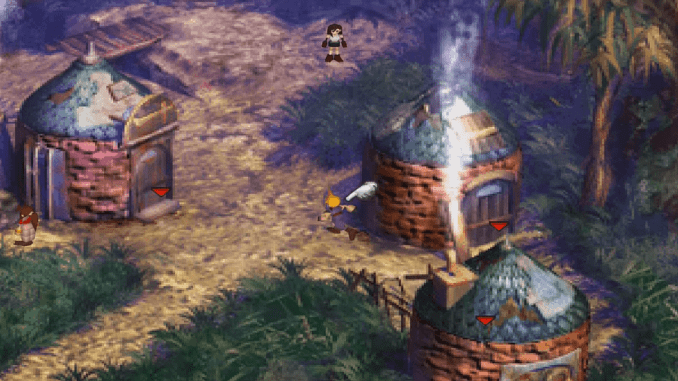 In the next area, collect the Deathblow Materia lying on the ground before heading north to reach the village. Make sure you have Aerith and Tifa in your party before proceeding. Go to the houses to buy items and learn more about the village. After learning the story of Zack, talk to either Tifa or Aerith. Choose “jealous…envious…” as dialogue for Aerith. Choose any answer for Tifa. Inside the house to the north, get the White M-phone inside the chest. Obtain the X-Potion inside the chest inside the house to the upper left. Head west and go through the shallow water in the river. Continue going up the rocky path until you reach Cosmo Canyon.